Established in the year 2011, Faith Services Private Limited are renowned for manufacturing, wholesaling, trading, retailing and exporting a range of PEB Structure, Construction Scaffolding, Formwork Accessories and much more. We are also a service provider for RCC Breaking Service, Scaffolding Hire on Rent. Each of our products, known for their robust construction, reliable performance, durability and dimensional accuracy, is testament to the hard work of dexterous professionals who have helped us attain a foothold over the industry. We have a quality testing lab where analysts examine our products before approving them for shipment. Very soon, we will be exporting our products to various parts of the world. Mr. Surendraprasad Maurya, our Director and Mentor, has played a key role in our growth and helped us maintain a stranglehold position in the marketplace. Thanks to his extensive market experience and high ethics, we have exceeded our own expectations. 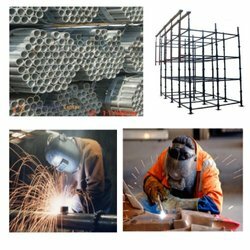 Manufacturing, Services, Trading, Hires & Services of Scaffolding & Related Access Products and Service. Our infrastructure boasts of a production capacity of 100 to 150 tonnes per month. To facilitate bulk orders, we have invested in top-flight machinery and equipment which help us meet our targets. We are constantly looking to overhaul our technology to keep pace with fast-changing market trends. Our infrastructure is divided into sub-units such as manufacturing, warehousing, packaging, etc. 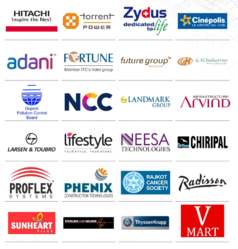 Each unit complements one another as we are able to further enhance our reputation in the market as an industry-leader. Since our inception in 2005, we have received an array of certifications for our quality products and services. Our products are checked on a series of quality parameters by our quality controllers, assuring flawlessness. Due to quality of our products and their unique attributes, we have gained a large clientele. Moreover, our clients are aware that we procure raw material only from trustworthy vendors. This is why we have dominated the market for over a decade. Our Vission is to enhance the prosperity of society & inspire next generation towards Growth. We believe in treating our customers with Respect and Faith. We grow through creativity, Invention, and innovation. We integrate Honesty, Integrity and Business Ethics into all aspect of our business functioning. Our mission is to provide the solution from steel to structure and build long-term relationship with our customers and provide exceptional customer service by pursuing business through innovation and advance technology.